UC San Diego’s biology dean Thursday remembered renowned fruit fly geneticist and longtime professor Dan Lindsley, who died of natural causes June 22 in his La Jolla home. He arrived at UCSD in 1967, and shortly after helped build the fledgling Department of Biology into a global leader in molecular and cell biology, according to the university. 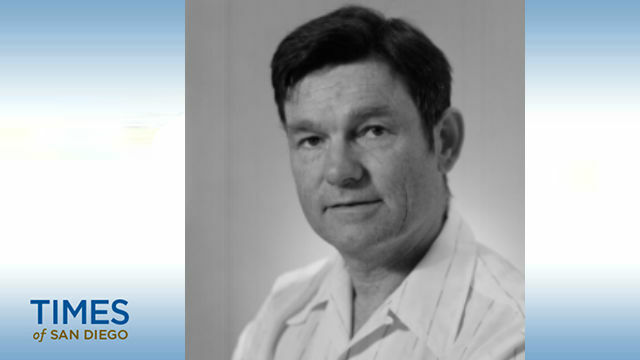 Lindsley was one of the preeminent fruit fly geneticists of the 20th century, said Bill McGinnis, dean of UCSD’s Division of Biological Sciences. “He published widely on genetics and developed the first comprehensive organismal genetic/genomic database. He was a sweet and generous man who will be sorely missed,” he said. Lindsley continued researching the fruit fly from the 1950s to the ’70s, even when it became an unpopular model organism, McGinnis said. “During this time, he helped to create a variety of chromosomal tools that have since allowed Drosophila researchers to revolutionize the understanding of many biological systems common to all animals, including humans,” he said. A strong advocate for lab experimentation and hands-on science, Lindsley also mentored future Nobel Prize winners Venkatraman Ramakrishnan and Bruce Beutler, the latter of whom previously called his former professor an “extraordinary teacher” who influenced him greatly. Lindsley taught undergraduate classes from his arrival at UCSD until 1990. A former department chair, he continued to stay active after retirement with the Division of Biological Sciences and published in peer-reviewed journals as recently as 2016. Lindsley was also awarded the Thomas Hunt Morgan Medal from the Genetics Society of America in 1989 and a distinguished alumni award from Caltech in 2000. The researcher earned his bachelor’s and master’s degrees in zoology from the University of Missouri. Lindsley then joined a Caltech graduate program led by Alfred Henry Sturtevant, a pioneer geneticist who himself was known for mapping fruit fly chromosomes. He earned his Ph.D. from Caltch in 1952. Lindsley was also known for a butterfly collection that featured thousands of species from around the world. He eventually donated the collection to the University of Florida’s McGuire Center for Lepidoptera and Biodiversity, one of the world’s largest collections of its kind.